Take table football to the next level! Create your league, grow the player base and rise to the top of the rankings. Playing one-on-one or teaming up with friends? 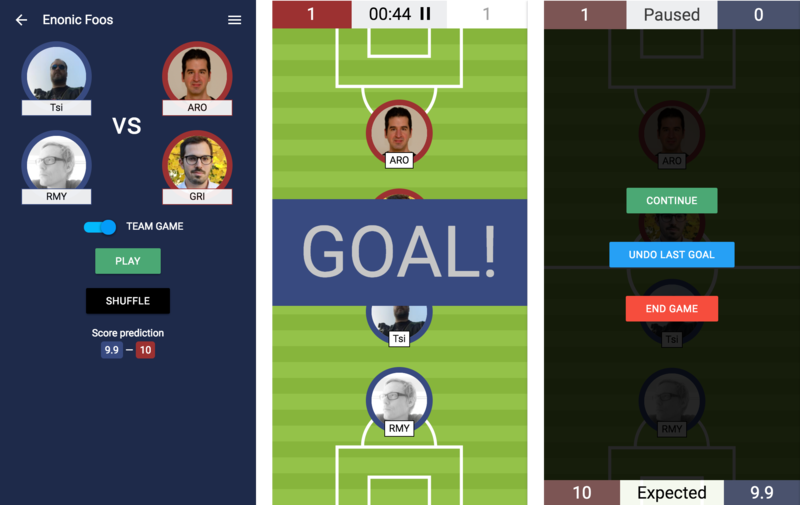 Easily record goals and scorer as the game progresses to the climax. 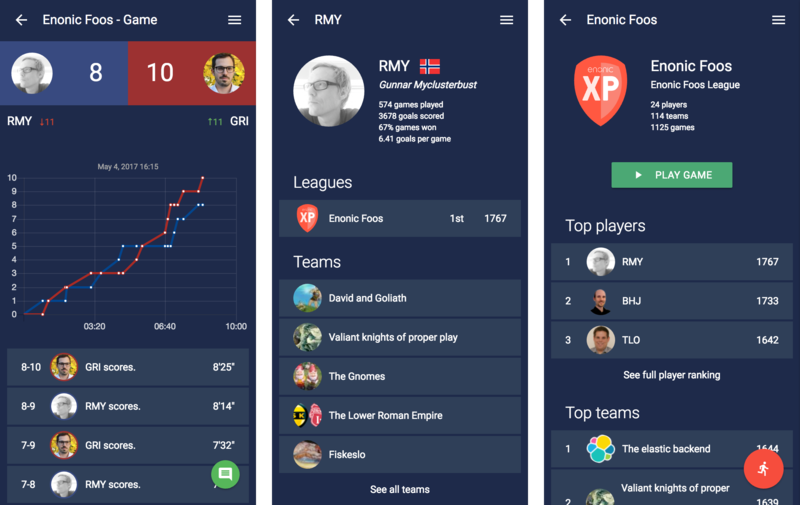 Create and manage your own league, and invite colleagues and friends to play. Every goal matters. Player rankings are computed after each game. The top positions are never safe! Officeleague.rocks is a free Progressive Web Application (PWA) built by Enonic. 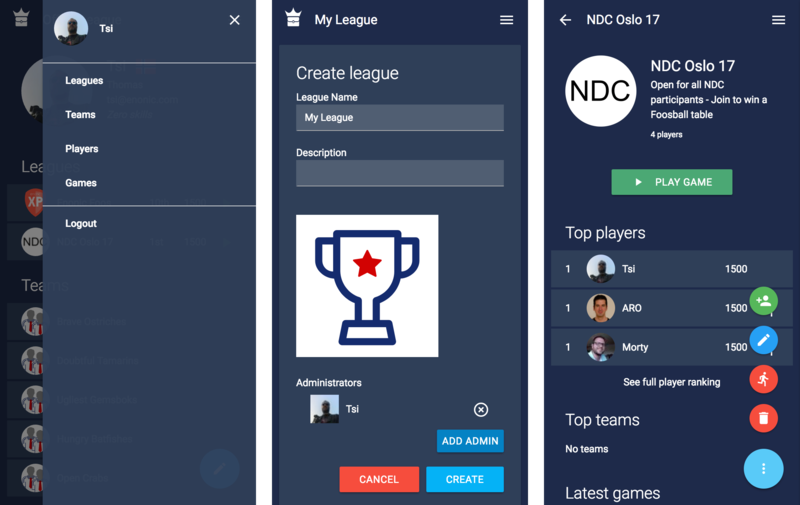 Office League is best experienced on modern Android phones, capable of providing cool new web capabilities such as offline support, full screen mode, add to start screen and more. New PWA features will be added to Office League continuously. Join our Slack channel to get involved. The applications uses the popular Angular2 front-end framework. The back-end API is based on GraphQL. Social authentication is made by using the Auth0 IDprovider from Enonic Market. Full source code is available on Github. Enjoy!